Flash: 1 March 2018. This entry is somewhat out of date and incomplete as it stands. It is in the process of being updated in the context of our revised and expanded cycle of New Mobility Master Classes. Check it out at https://worldstreets.wordpress.com/tag/master-classes/. World Streets is thus more than a collaborative blog with a very specific focus; it also offers an extensive site and collection of working materials, references and tools in support of our collective push to more sustainable cities. At this point several thousand articles, tools, images, and other media have been assembled in the family of World Streets sustainability toolkits. 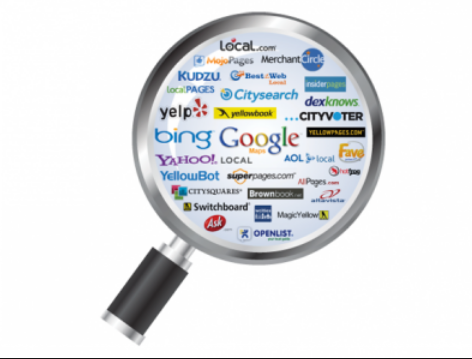 These search engines are clustered on the right menu on all pages and ready to go to work for you at a single click. This is the standard WordPress key words search engine. Does a fair job of finding materials in these pages, using the usual Boolean search conventions. But if you need to dig deeper or otherwise . . .
Calls up all articles that appeared on a given day since the first issue of World Streets in 2008. This is an excellent search tool, based on a Google Combined Search Engine. It points not only to the pages of the main World Streets site, but also scans the content of our most important associated programs (Nuova Mobilità, Streets of India, Worst Practices Department, Thinking about China, etc. as well as the most important LinkedIn and Facebook Group sites). If you click this image you will be taken to a simple Google search line which will then query the entire World Streets database. Straight forward. Performs as indicated with a drop-down menu. World Transport: Takes you to a Google Search of the entire publication base of the Journal of World Transport Policy and Practice since Vol. 1, No. 1 appeared in 1995. New Mobility Agenda: Searches the vast hinterland of publications, reports, and media under the New Mobility Agenda program since its founding in 1988. * ELTIS: European Local Transport Information Service (information system): The ELTIS database incorporates an ever-growing number of transport case studies, concepts and documentation and bibliographical references that user can look up by using her/his own pre-selected specifications. Wide range of topics is covered, but the main emphasis lies around practical approaches. That’s it. If you are a student, teacher, researcher, activist, or a curious citizen wishing to know more about sustainable transport, sustainable cities, and sustainable lives, welcome to World Streets. And if you have any suggestions for us as to how to do better, pleased to not hesitate to get in touch. This entry was posted in *Safe City 2020, 2018, Help Desk, References, Tools and tagged * Strategies, *Master Classes, 2018, Tools, Watching Briefs. Bookmark the permalink.